Webian Shell is a browser based operating system UI dedicated to using the web. The system back button is a browser back button, the window manager is a tab manager and any web page can be used as the home screen. 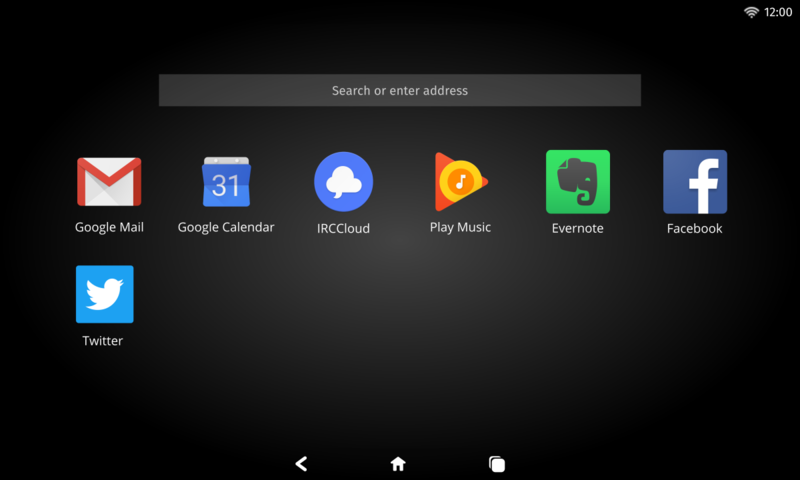 It stores apps, bookmarks and browsing history which can be synced between devices using Webian Home. There are two versions of Webian Shell, one for desktop computers and one for touchscreens. The current version of Webian Shell being developed is 0.3, you can find the source code for both the desktop and touch versions on GitHub.